Thirty three year old electrician Devon Jones of Iguana Street will stand trial for maim and aggravated assault vehicle following the conclusion of a preliminary inquiry today. Attorney Bryan Neal told the court that he will not challenge any of the evidence the prosecution will be using at this stage. Multiple statements were tendered into evidence by the prosecutor which included testimony from the alleged victim, Francis Gill, as well as a witness and police officers, Chief Magistrate Anne Marie Smith committed Jones to stand trial in the June session of the Supreme Court. She informed Jones that a prima facie case was made out against him and that he must now meet bail of three thousand dollars because the previous one was being confiscated. 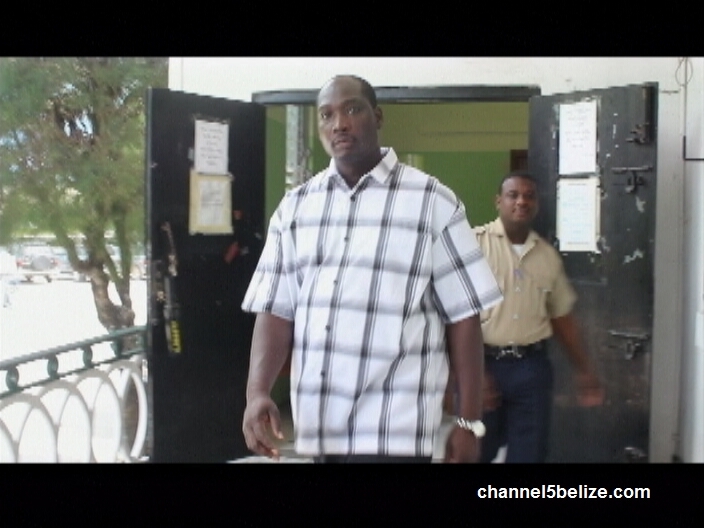 As a part of the bail condition, Jones was ordered not to leave Belize and must report to the police once a week, as well as stay away from the victim. The charge is from an incident in August of last year, following a report that Gill was standing in front of a restaurant when a vehicle, driven by Jones, ran into him and crushed him against a wall. Gill was hospitalized and lost one of his legs as a result of the incident.